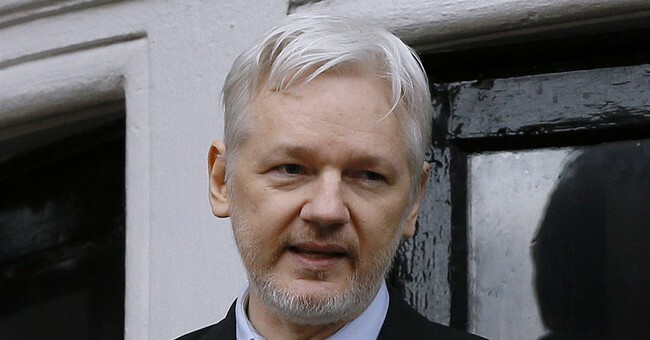 Wikileaks Founder Julian Assange revealed to Sean Hannity in an interview that aired Tuesday night that Clinton Campaign Chair John Podesta's email password was "password." As such, a 14-year-old could have hacked into the system. "We published several ... emails which show Podesta responding to a phishing email," Assange said during the first part of the interview, which aired on "Hannity" Tuesday night. "Podesta gave out that his password was the word ‘password’. His own staff said this email that you’ve received, this is totally legitimate. So, this is something ... a 14-year-old kid could have hacked Podesta that way." The DNC didn't fair much better. Wikileaks managed to hack into and publicize thousands of their emails as well during the 2016 election thanks to poor security measures. Some of the embarrassing revelations resulted in the eventual resignation of DNC Chair Debbie Wasserman Schultz. Trump appeared to agree with Assange that the DNC's vulnerable system was largely to blame for the breach. things they did and said (like giving the questions to the debate to H). A total double standard! Media, as usual, gave them a pass. Trump said he also has information to back up Assange's claims that Russia was not behind the hacks. He is expected to reveal that intel this week.